Heat oven to 450°F. Stir all ingredients until soft dough forms. Place dough on surface sprinkled with Bisquick mix; roll in Bisquick mix to coat. Shape into a ball; knead 3 or 4 times. Roll 1/2 inch thick. Cut with 2 1/2-inch round cutter dipped in Bisquick mix. Place with edges touching on ungreased cookie sheet. Here’s a tip for making nicely shaped biscuits. Push the cutter straight down through the biscuit dough without twisting it. If you twist as you cut, the biscuits may be uneven. 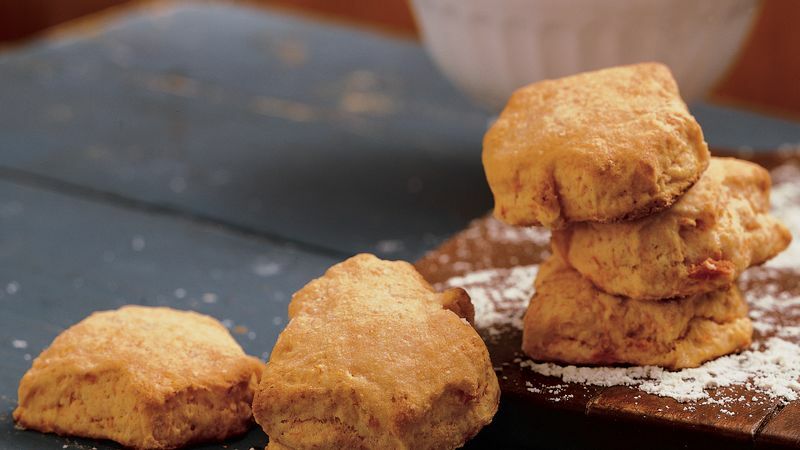 Biscuits don’t have to be round! You can use a 2-inch cookie cutter in any shape. Or cut the dough into smaller squares, rectangles or triangles with a sharp knife that has been dipped in Bisquick mix to prevent sticking.